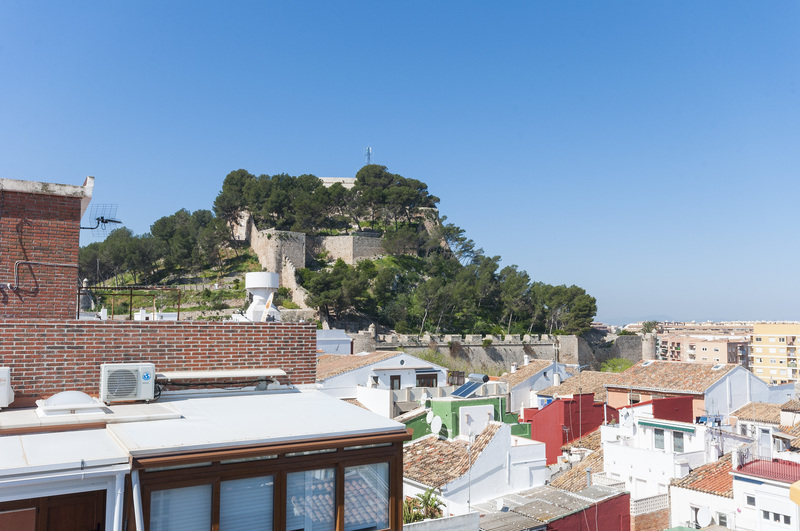 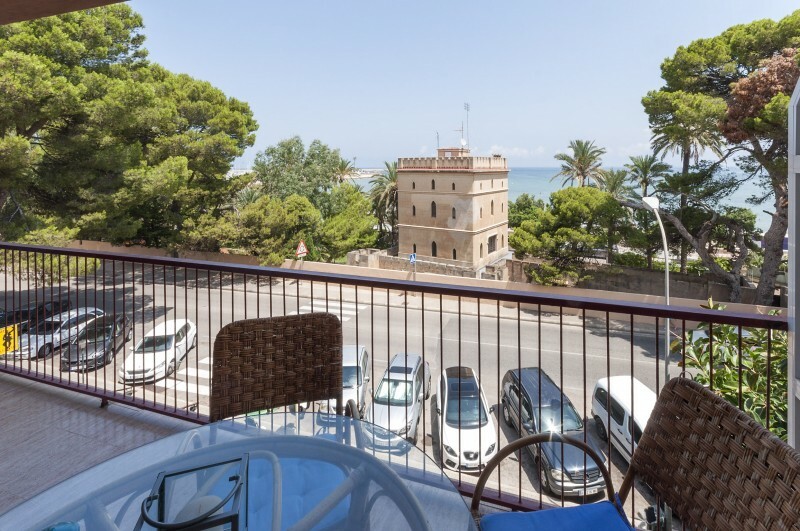 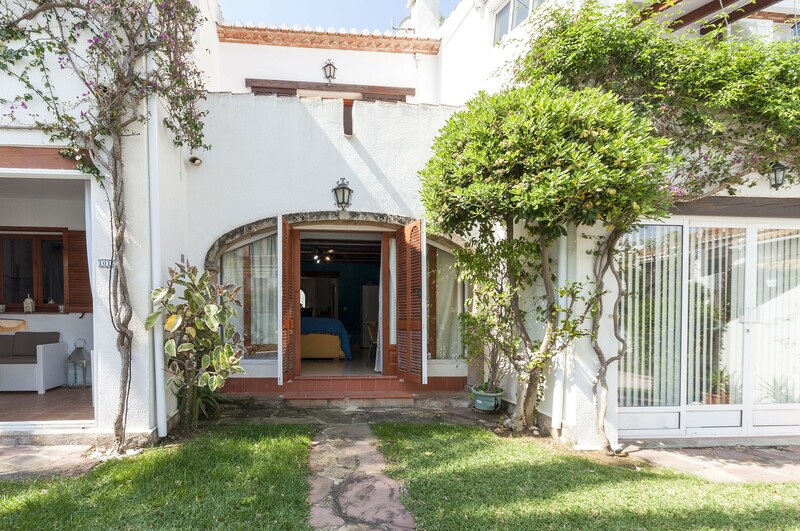 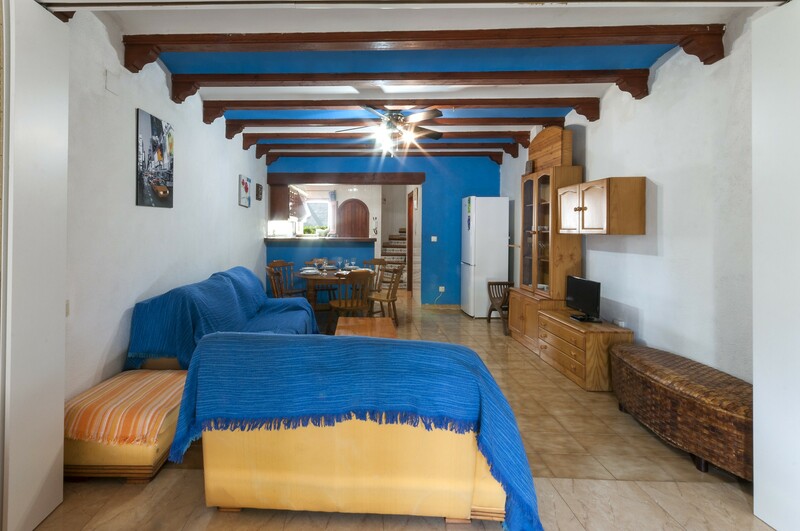 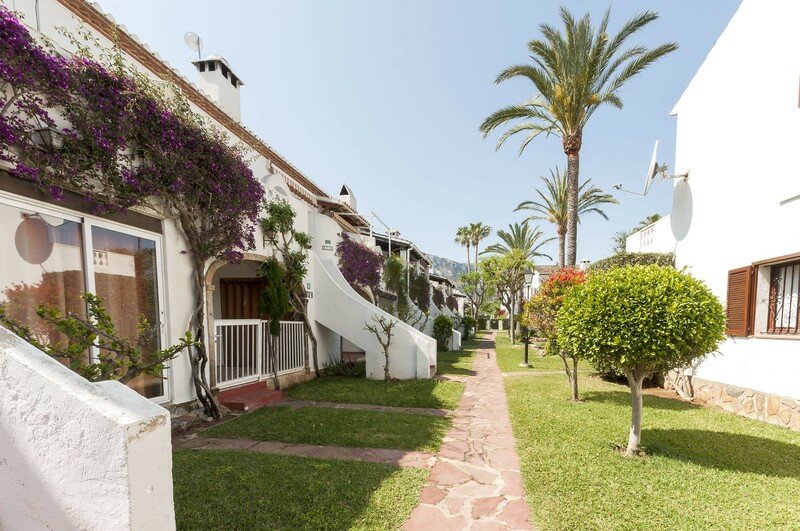 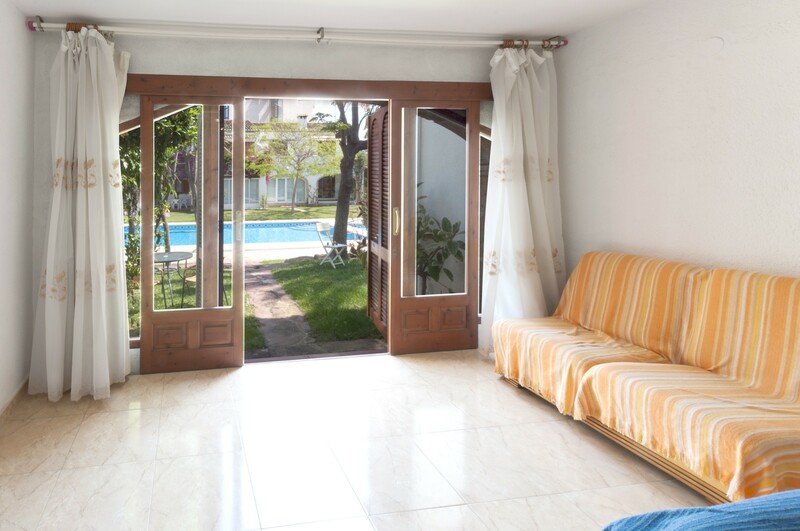 Welcome to this charming duplex apartment near the sea, in a residential area of Denia. 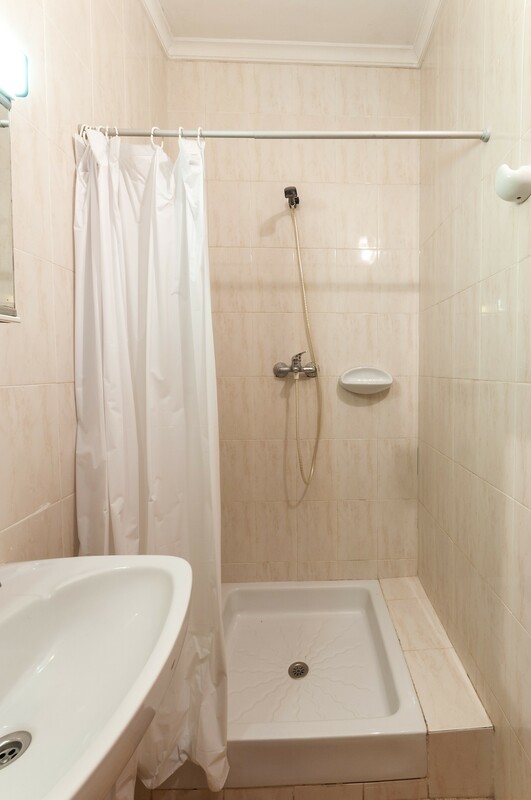 It is prepared for 4 persons. 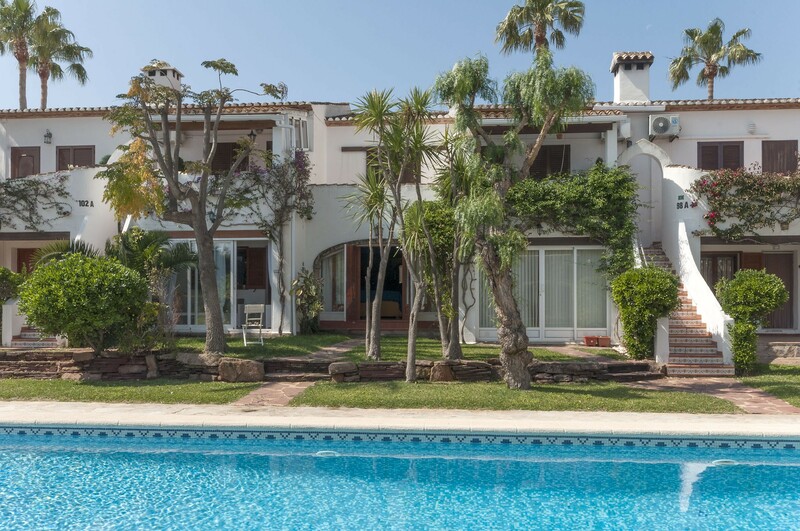 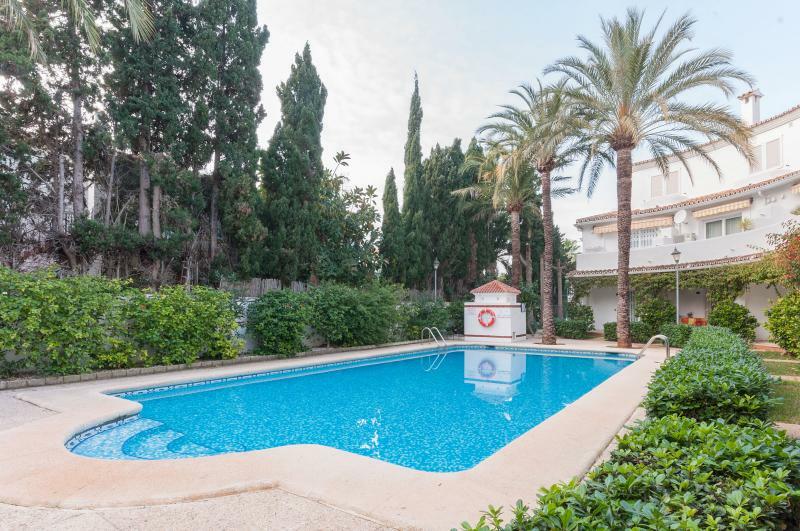 The outdoor area counts with a shared chlorine pool (which measures 10m x 5m x 1,90m), a pool for toddlers, large green areas and a private, furnished terrace. 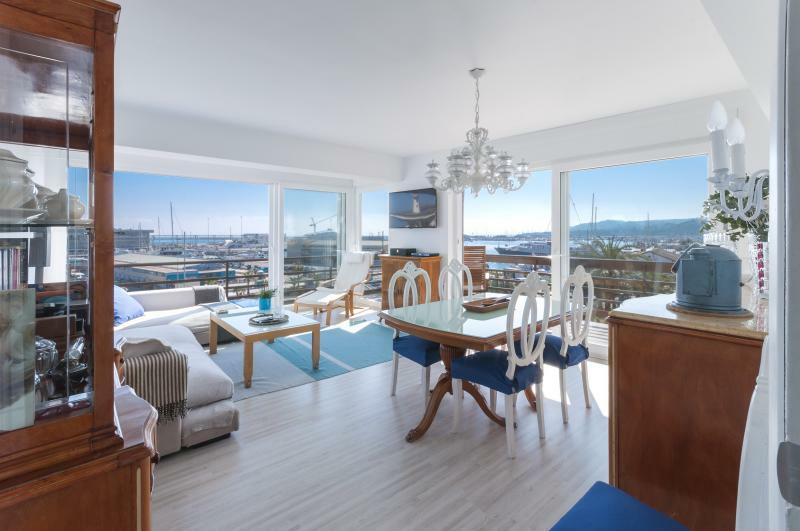 The 75m2 apartment counts with 2 bedrooms: 1 with a double bed and 1 with two individual beds. 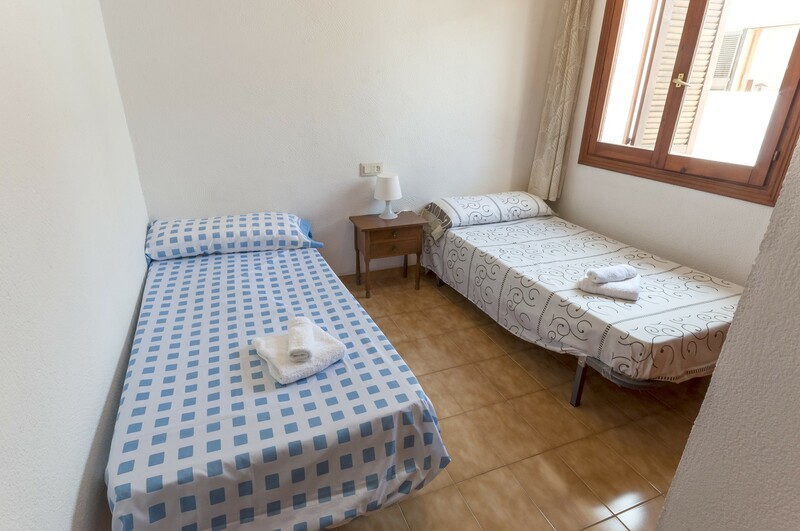 On request, there is a baby bed and a highchair available. 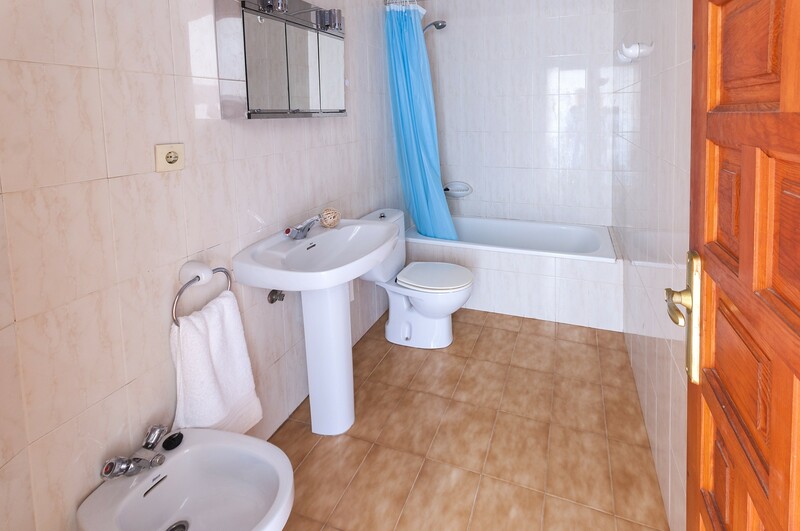 There are two bathreooms for general use: 1 with a shower and 1 with a bath tub. 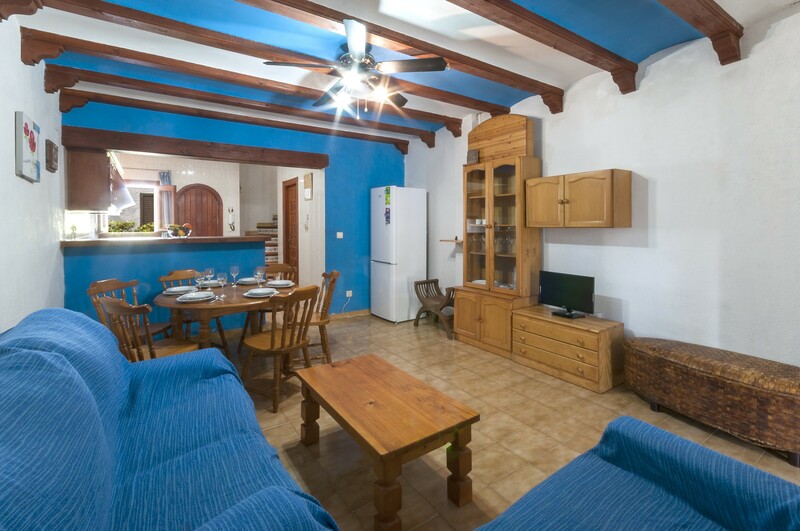 The cozy living- and dining room with kitchenette counts with 3 sofas, a TV and a dining table. 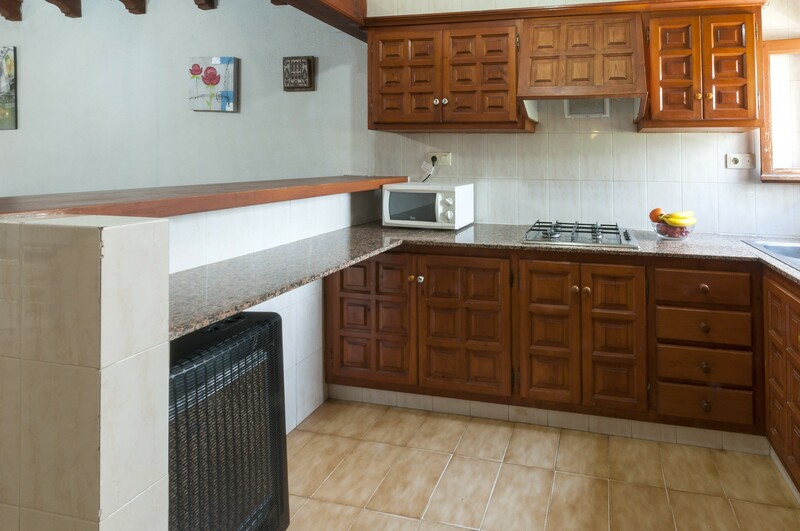 The kitchenette works with gas and is equipped with all necessary utensils to prepare a wonderful meal during your stay. 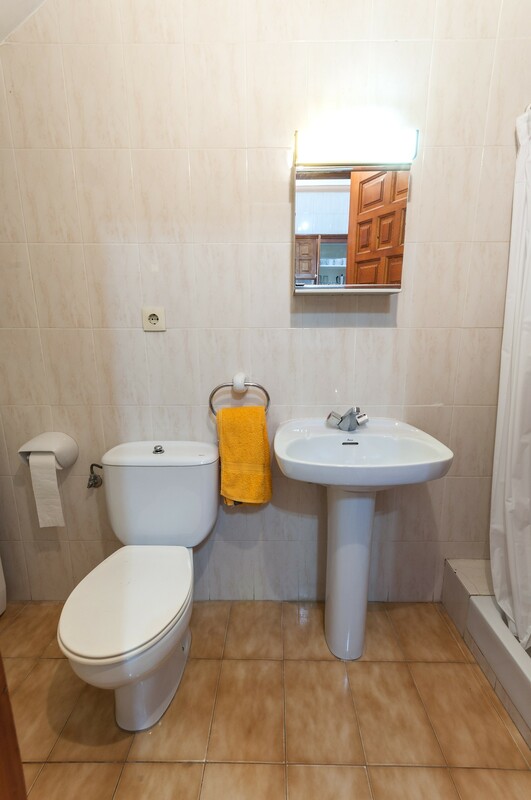 You will also find a washing machine and an iron and ironing board. 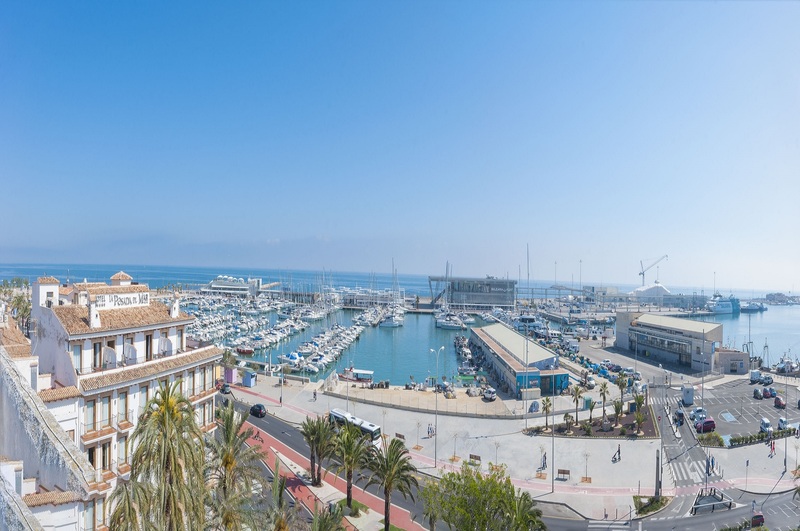 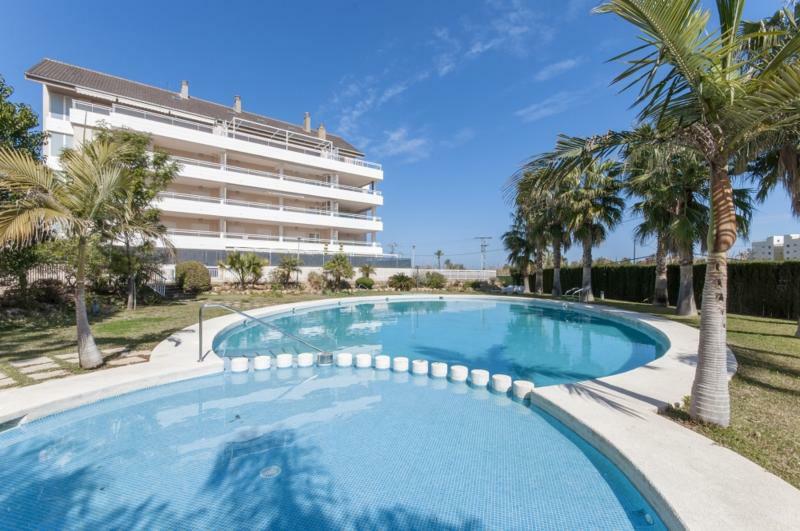 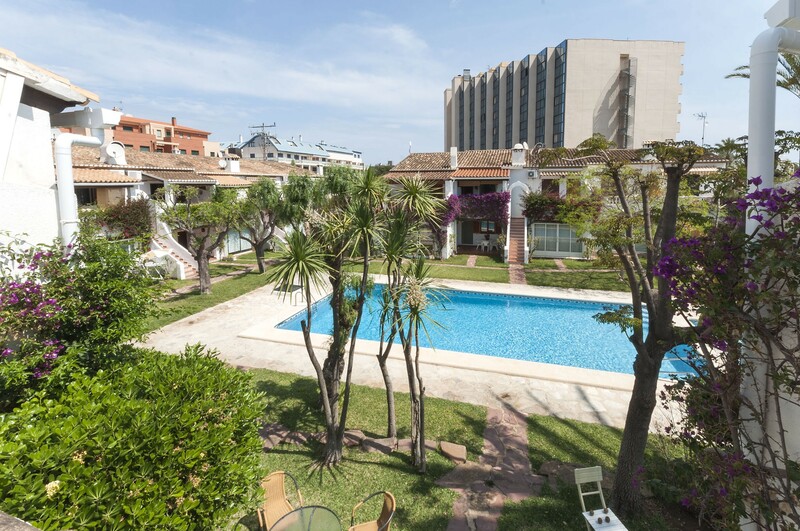 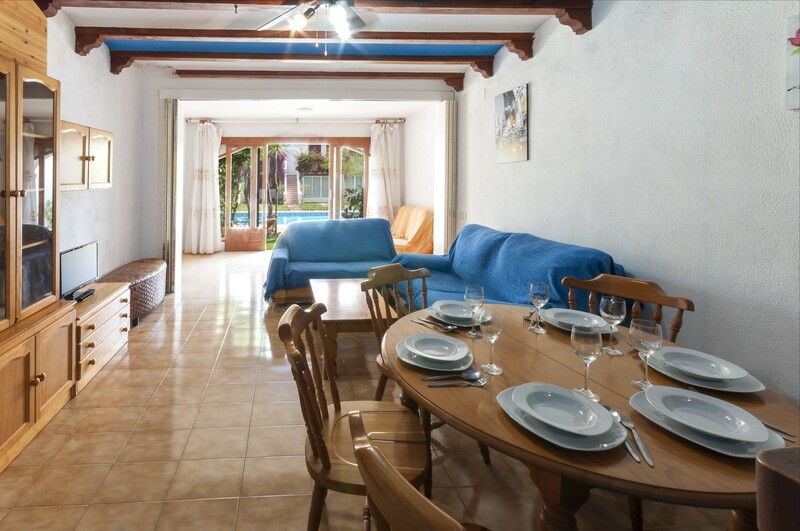 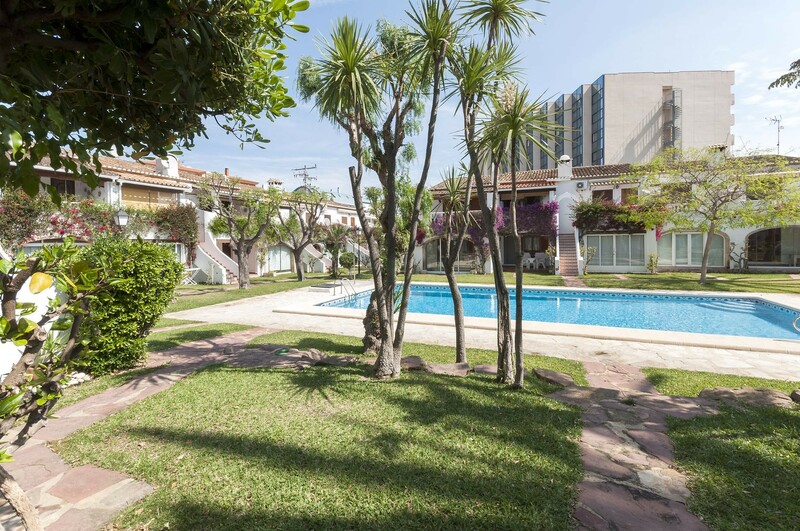 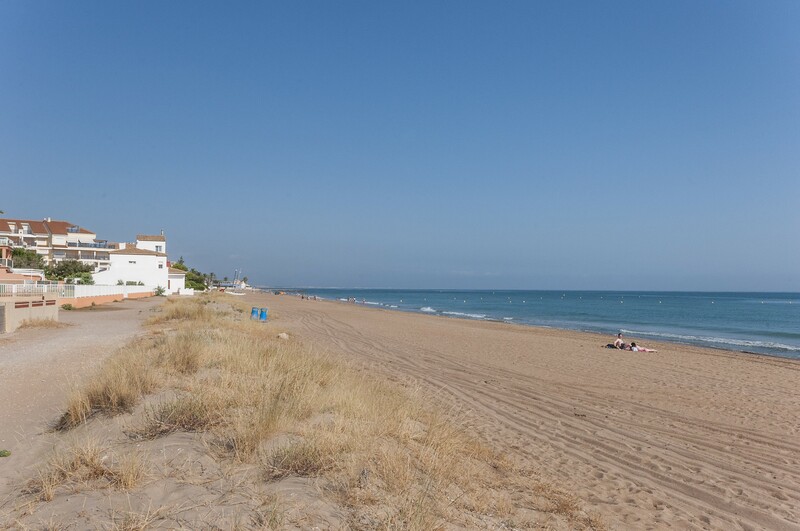 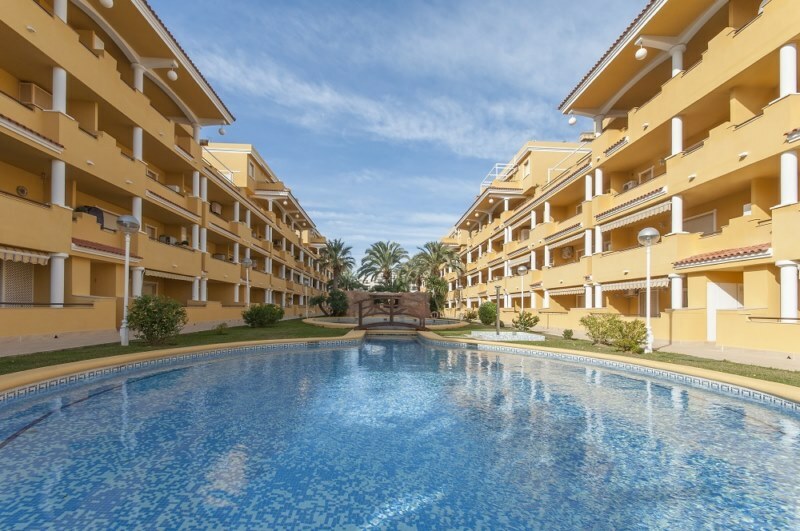 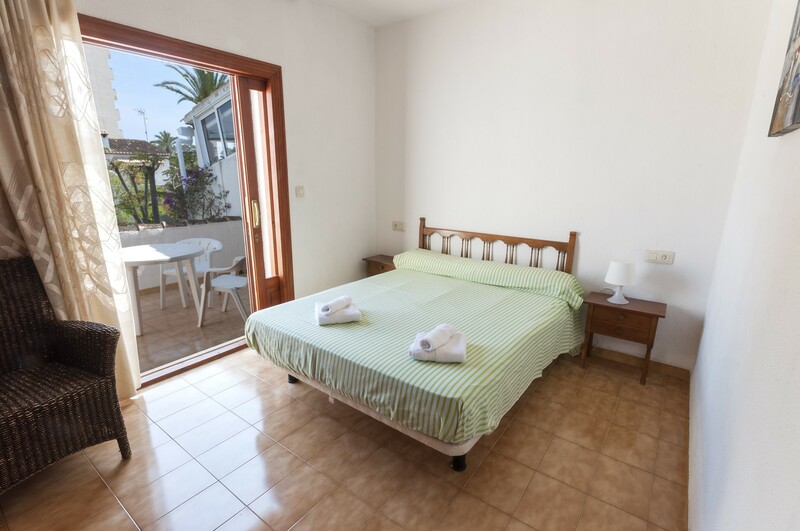 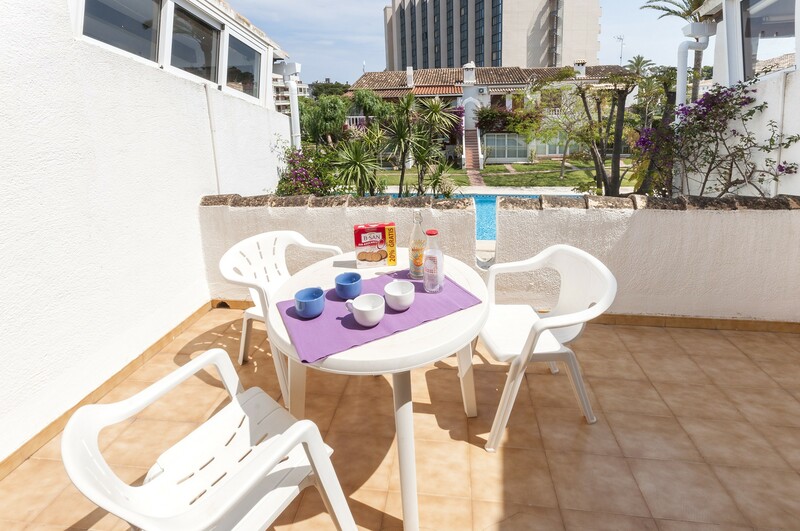 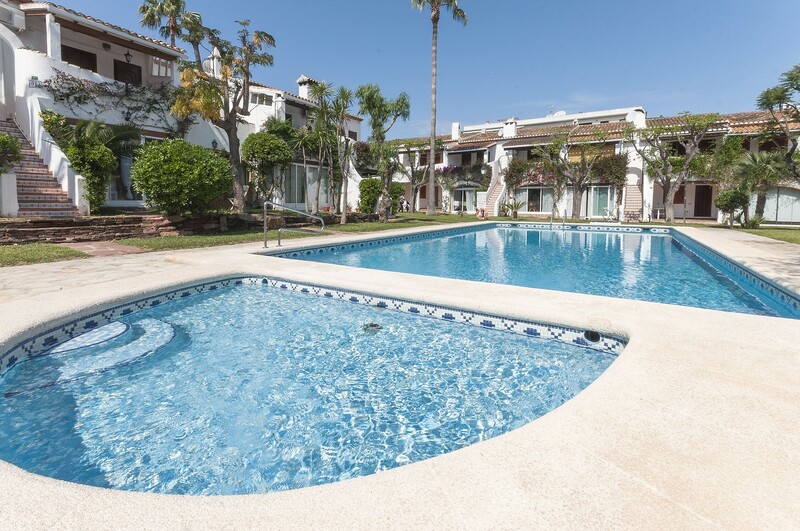 This resort is situated in a beautiful residential area of Denia,at only 5 minutes walking distance from some of the best beaches in the area. 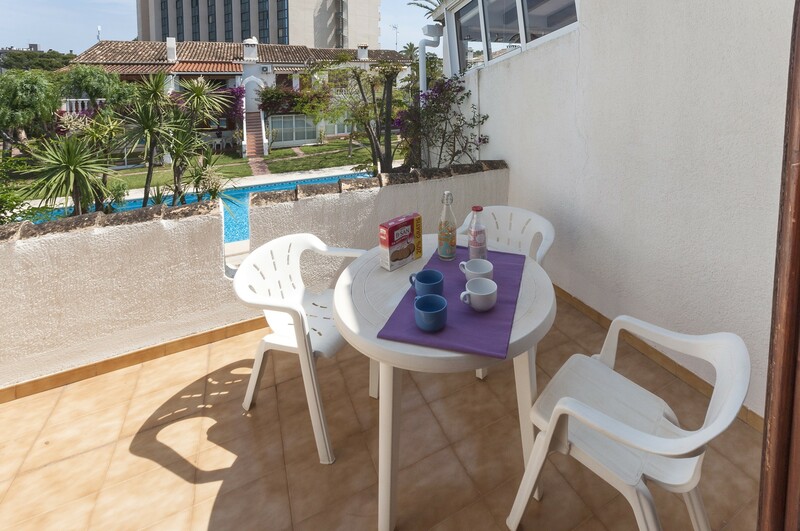 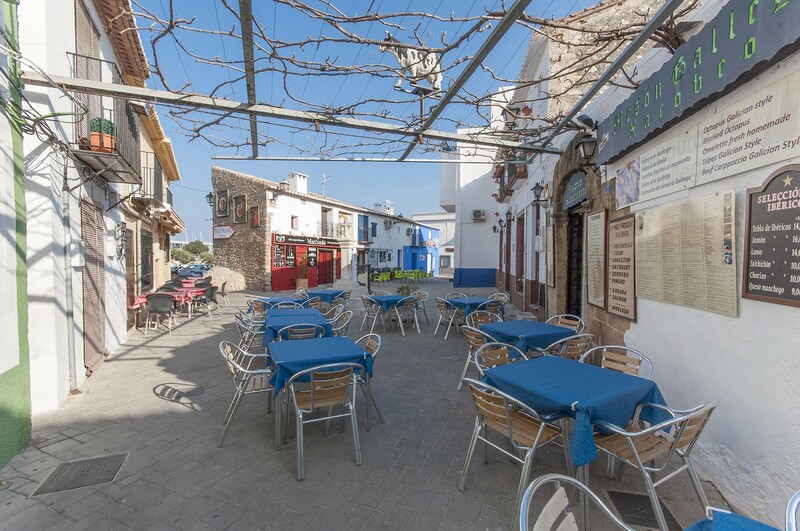 Nearby, you will find everything you need during your stay: supermarkets, bars, restaurants, etc. 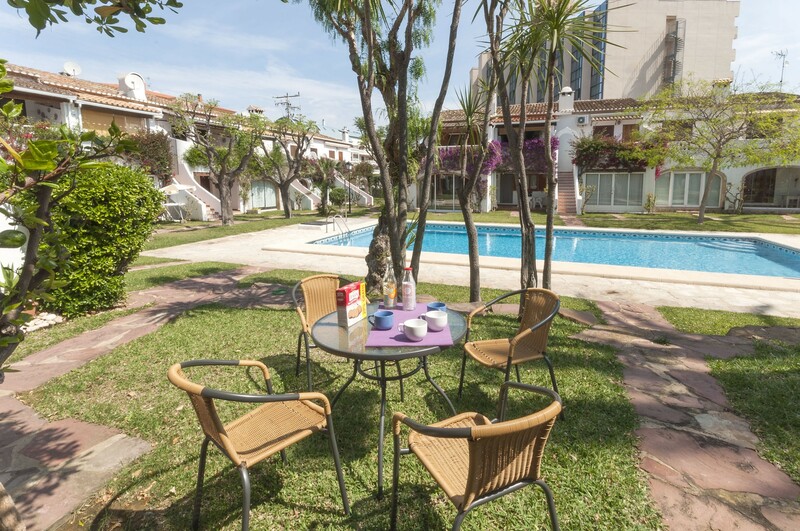 It is the perfect place to enjoy the company of your family or friends! 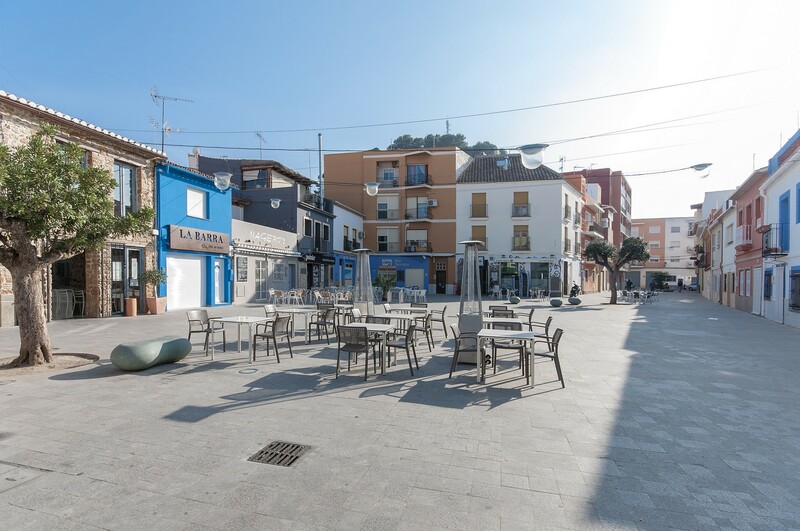 Celebration of parties or events is not allowed.